Most homeowners insurance policies do not give homes the full protection they need from various perils. While all homeowners insurance policies provide coverage for losses caused by fires, lightning, internal flooding and other possible perils, many other perils often times are not covered. A basic homeowners insurance policy only provides coverage for 11 standard perils with only limited protection for personal belongings. But homes in many areas of Nevada as well as other states can have more common localized perils. Kansas is famous for its windstorms, New Orleans for its catastrophic flood vulnerability and California for its earthquakes, for example. That means many homeowners will need specialized coverage for their homes and valuables. Homeowners insurance policies generally protect homes based on one of two means. The most common is a named- perils policy that specifically lists those potential hazards for which the policyholder will be indemnified. They include internal flooding, fire, lightning, power outages, vandalism, theft, falling objects and other common perils. 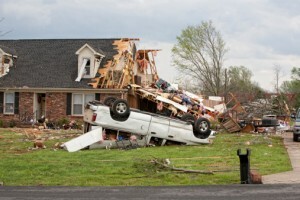 Some homeowners insurance policies will name much more than 11 perils, and anything other than those perils that specifically are listed will not be covered. An open perils policy is different. With an open perils policy, only those perils that are excluded are listed, such as earthquakes, external flooding and other threats that are not insured against. External flooding is one of the most common exclusions from coverage and requires either a separate flood insurance policy or a special rider to additional flood insurance protection. Earthquake insurance is another peril that most policies exclude but that could come in handy for Nevada residents. Nevada is among the nation’s most active states for seismic activity, but not nearly to the extent of nearby California. But homeowners might benefit from buying an earthquake insurance rider to protect against potential foundations cracking, damaged walls and other possible defects caused by Earth tremors. Flash flooding also is a common peril for which additional insurance coverage can be bought through the National Flood Insurance Program. Does your home have any additional insurance riders protecting it?